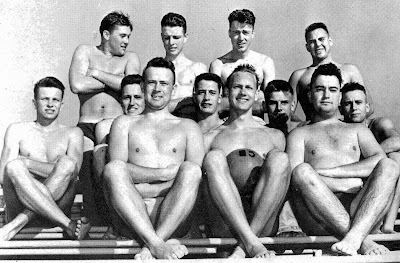 The team University of California, Los Angeles in 1943. Top row: B.Hanson, Burrill, Blanchard. Middle row: Cobb, Westlake, Stanwood, Farrar, Simons. Bottom row: J.Hanson, Johnson, Cane.